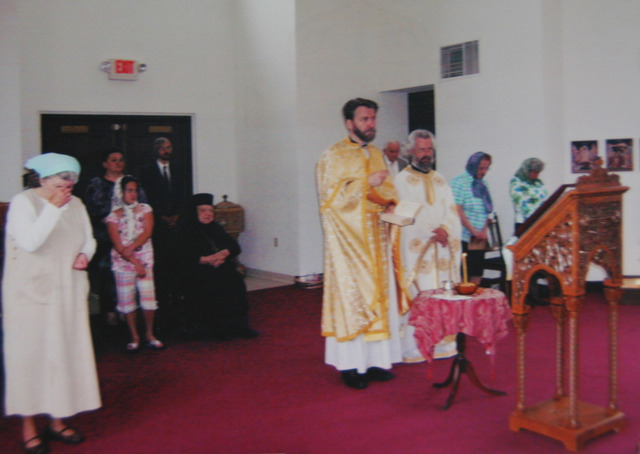 Richfield, OH - Divine Liturgy was served on Wednesday, June 17, 2009, the feastday of St. Mitrophan, Patriarch of Constantinople, the Hieromartyr George (Bogic) and the Holy Myrhhbearing Women Mary and Matha, at Monastery Marcha in Richfield, Ohio. Serving at the Holy Table were Archimandrite Leontije (Alavanja), the Abbot of the neighboring Monastery of St. Mark in Lorain, Ohio, V. Rev. Zivojin Jakovljevic and Protonamesnik Rev. Milovan Katanic. 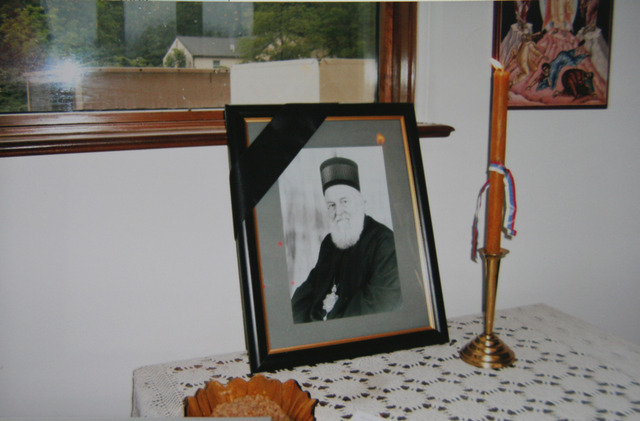 A Parastos was served following the liturgy in memory of Bishop Sava of blessed repose who passed away on June 17, 2001. In his homily, V. Rev. Zivojin Jakovljevic thanked Nikola Borota, parishioner of the neighboring St. Sava Cathedral and long time friend of Bishop Sava, for initiating this gathering in memory of the once Bishop of Eastern America. It was on July 16, 1967 that Bishop Sava was enthroned as Bishop of Eastern America, where he remained until May, 1977. 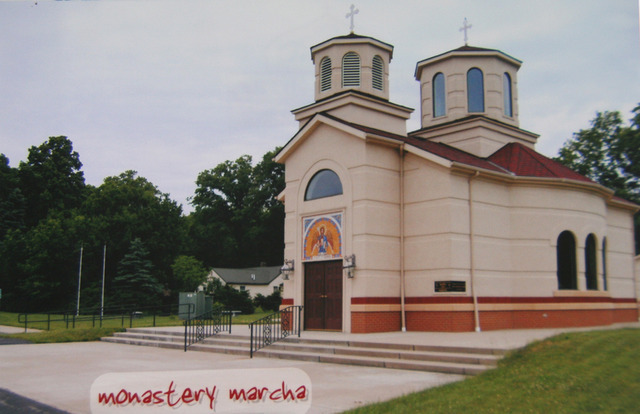 During his ten-year tenure he founded ten new parishes and church-school congregations, revigorated three more, consecrated five new churches and founded the women's monastery Marcha in Richfield, Ohio. He is also credited with finding a suitable location for the diocesan headquarters in Edgeworth, Pennsylvania. Built in the style of an old English manor the building, by its style and presense, dominated its surroundings. Bishop Sava provided a building suitable for all needs of the Diocese: a residence together with offices for the diocesan administration. It was there that he founded a chapel dedicated to St. Archbishop Nikodim of Serbia. Additionally, he began a church museum and formed a diocesan library in which he incorporated the personal library of his predecessor Bishop Stefan (Lastavica). 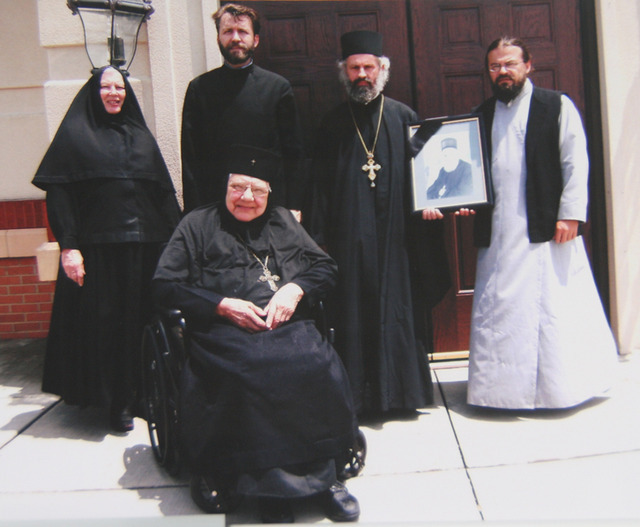 There are countless other achievements acredited to Bishop Sava, not to mention the words of wisdom he imparted on the faithful of this diocese, words of archpastoral and fatherly care and guidance which remain in the hearts and souls of our Serbian Orthodox people in the Eastern American Diocese to this day. May his memory be eternal.